After switching her dream from being a singer to becoming a creative adwoman, Lucy has been enjoying her career in the advertising industry and handling a variety of brands in the electronics, telecommunications and banking categories. She believes that solid team work, a positive working environment, and appreciative clients are the key to create a great campaign. Through the years, her hard work, good mentors and passion for excellence have led her and her team to many national and global prestigious advertising stages. 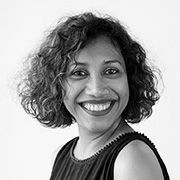 She has served as jury in several award shows and became the first women to represent Indonesia as juror at Cannes Lions Festival of Creativity.